Size Records, Steve Angello’s record label, is approaching its ten-year anniversary and to commemorate the birthday of the label, Size recently announced SIZE100, with 'SLVR' (pronounced ‘silver’). Teaming up with Russian duo Matisse & Sadko, this release should be another biggie for the label. The track begins with a hypnotic, robotic loop which fuels the anticipation, building to a crescendo of synths, giving way to the main theme: an uplifting track in-line with Angello’s past work, but very much 2013. 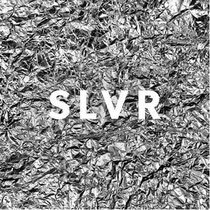 ‘SLVR’ received its world premier exclusively on Pete Tong’s BBC Radio 1 show on Friday July 12 and it’s already attained the top spot on the current DMC Buzz Chart. Steve Angello’s touring schedule is still full on with festival appearances at Tomorrowland, Electric Daisy Carnival and Creamfields as well as club night headline slots. With releases by artists including Tommy Trash, AN21 & Max Vangeli, and now SIZE100, the label continues to go from strength to strength.